With the summer season comes a new round of things to look out for as you and your pet enjoy time together. Plan ahead and make your pet’s safety a priority by watching out for some of these potential hazards. Warmer days mean warmer pets. To keep them cool, ensure they always have access to fresh, clean water, along with a shady spot. Consider taking them out for walks earlier in the morning or later in the evening, when the sun is not as high in the sky, and the pavement is cooler. Know the signs of heatstroke, and how to treat them. And never, under any circumstances, leave an animal alone in a hot vehicle. Make sure your animal’s vaccinations are up to date before they explore the great outdoors. You never know what kinds of viruses other animals – like raccoons, for instance – may be carrying. 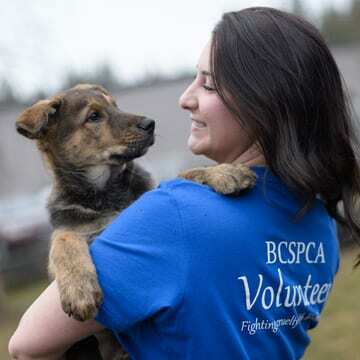 We never expect to lose a pet when we’re out and about, but it doesn’t hurt to give yourself some peace of mind and sign them up for the B.C. Pet Registry. That way if they dart off, you’ll have a much better chance at finding them if they have the proper identification and are in the registry database. If your pet is already registered, make sure your information is up to date. If you’re hoping to go on a long hike with your dog, bring essentials for them, too. Just as you would pack your own food to eat and water to drink, it’s a good idea to do the same for them. Be mindful of any dangers you might encounter during your experience – whether that’s a steep ledge, other animals, a poisonous plant, or pesky ticks and bugs. If you’re heading out on the water, prep for your pet’s safety, too. Does your dog have a life vest to wear while on the boat? Ensure they are properly secured to the vessel. And while you may think it’s cute to watch your pup attempt to doggy paddle, not all animals are comfortable in water – be it a lake or a pool. Never force your pet to swim. Party food is great for humans – not so much for pets. Your family may not be able to resist your dog’s sad face as they’re watching them eat, but for the sake of your animal’s health it’s probably best to avoid feeding them picnic food. Cooked meat bones can become a choking hazard, and onions, garlic and grapes can all cause gastrointestinal problems. Chocolate is another food that your pet should avoid. Instead, make sure your dog has their own food to eat. You can even freeze doggie-safe options inside a Kong to not only keep them fed – but also keep them cool. It’s also a good idea to make sure areas where cooking and food preparation are being done are safe for your dog. Have a covered container available to collect bones from grilled chicken, ribs and other meats. You can also use the lid on the grill to prevent curious dogs from putting their paws up on a hot grill. Summer is the time of year where ticks can wreak havoc on an animal, especially as your dog will spend most of their time outside. The tiny parasites feed off the blood of hosts, including dogs and cats. Tick bites and tick-borne diseases, like Lyme disease, can be hard to detect. It can take anywhere between seven and 21 days (or longer) for the symptoms to present themselves. There are a number of safe medications out there to take advantage of. Be diligent with tick checks, and if you find one, remove it or have your veterinarian remove it right away. Bee, hornet and wasp stings are something else to watch out for. Since animals tend to investigate the world using their noses and paws, those spots are often where cats and dogs get stung. In most cases, you will see mild swelling and tenderness in the affected area. You can reduce the swelling by applying a cold compress. It’s important to remove the stinger as soon as possible. Never try to squeeze the stinger out, as it could rupture the venom sac, exposing your pet to more venom. Benadryl should not be given to an animal unless your veterinarian has said it’s okay. Sometimes animals may be severely allergic to stings. If your pet starts to vomit within five to 10 minutes and their gums become pale, they could be going into anaphylactic shock. You should seek help from a vet immediately. Some people prefer to put sunscreen on their pet. Depending on your dog’s situation, the benefits may outweigh the risk. If you are considering applying sunscreen to your pet, talk to your veterinarian first. If you do decide to put sunscreen on your dog, a pet or baby formula should be used. Regardless of what you choose, make sure your dog doesn’t ingest the sunscreen. Alternately, you can make sure your pet has access to shady spots outside, like a tree, or underneath a beach umbrella. 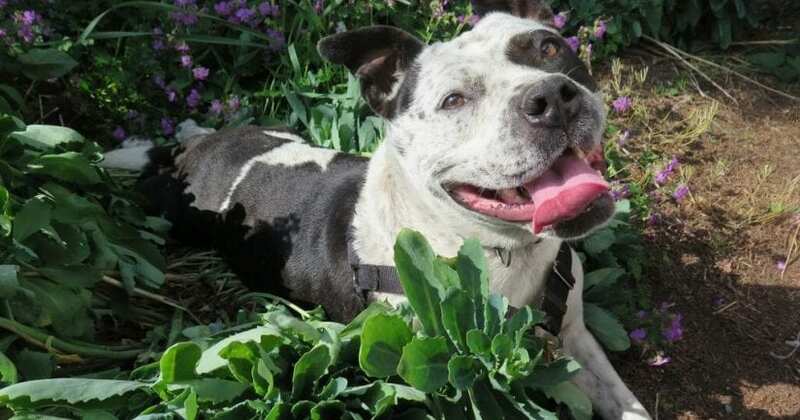 Our gardens may also serve as a spot for our dogs and cats to ingest plant bulbs, fertilizers and lawn products, some of which can be quite bad for their health. Take advantage of non-toxic options when tending to your plants so that your pet can frolic without worry.